We had a great turn out for our Hawaiian Luau at the MAC last night. I asked a couple of the people how many people they thought showed up and both of them simply said, "A lot". 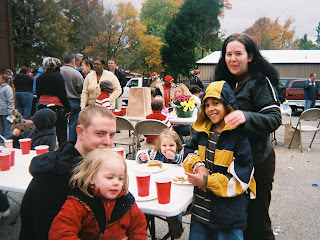 We easily had over 30 kids and around 30 adults. 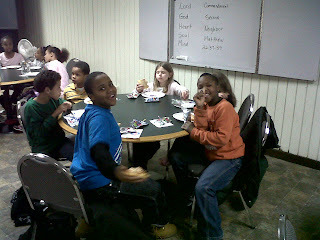 The place was buzzing with energy - just ask any adult that was there. We had a Hawaiian meal consisting of: Kalua Pig, Tropical Fruit Kabobs, Rice, and a Hawaiian Punch. The food looked like a lot when we started, but it disappeared quickly. The night also consisted of a "Hula" Hoop contest for 4 of the kids, a Hula contest for some of the men that showed up and a Limbo contest for anyone interested. It was a great night. 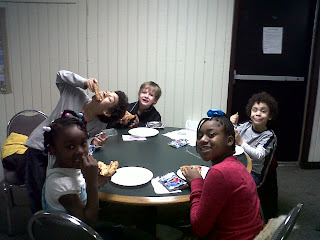 At Hiding Place last night we got to have a pizza party for the kids. Kicks for Kids had us draw some pictures for them before Christmas so that they could choose one to use for their Christmas Cards. 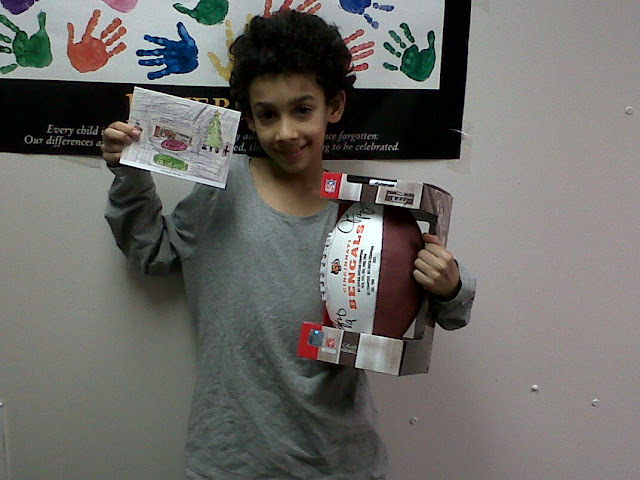 Nike won the contest and for that received a signed Bengals football. 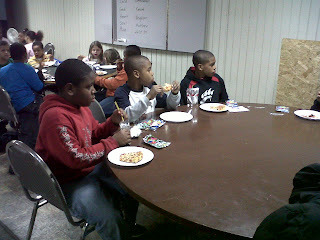 Since all the kids made pictures Kicks for Kids provided pizza for the night. 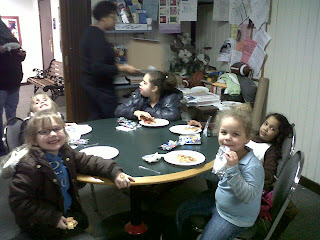 The kids ate all they wanted, and they loved that. 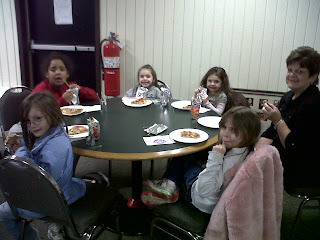 (We had enough pizza that even our Youth Night group got to participate.) Thanks Kicks for Kids for helping our kids have a great night. Tagged our wall with the One we serve. 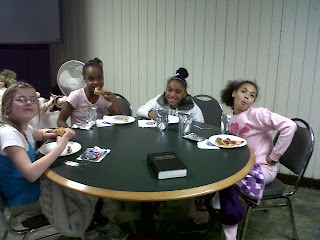 24 Hour Day Camp at Piner Baptist Church - Wonderful Experience. Christmas Giveaway - Pastor Tony from Piner sharing a bible with each family. New Playground given by Union Baptist Church - Thank You!!! So much FUN I just can't stand it. God was wonderful to us in 2009. Please pray for us in 2010. I encourage you to look for ways to get involved with us this year. Many blessing.